When buying a new home, the garden can play a huge part in both its value and its appeal to a prospective buyer. If you are a keen gardener, you might be excited at the opportunity to get down and dirty in your garden, keeping it spruced and looking pretty all year round. However, what is a fun and relaxing activity to some can be lost on others who do not have the time, knowledge or enthusiasm to look after a garden successfully. Gardening isn’t too difficult if you know the golden rules and what to look out for. With these simple tips you’ll be able to have a garden to be proud of; one that blooms and incites affection, come rain or shine. Here’s the low-down on looking after your garden. When it comes to curating the perfect flower bed, it all starts with soil and good roots. When buying plants and flowers, inspect their roots – they should be white, firm and aplenty. Your soil, on the other hand, should be fluffy and light before you start to plant your flowers, and make sure to add compost, manure or leaf mold to your flower beds every year to help nourish the young plants. Don’t put plants too close together, either. Overcrowded plants can have the tendency of becoming diseased, and they are more likely to grow poorly due to competition for water, light and nutrients. When it comes to watering, there is a fine line between too little and too much; too little water can cause the flower to wither and die, and too much water promotes rot. For best results, rigidly follow the instruction on the tag of each type of flower. To really keep on top of your garden’s health, you should inspect for insect damage a few times a month. Not only can they devastate your lovely new flower bed, but insect damage can also make way for disease and viruses, which can pass from plant to plant and cause irreversible issues. A garden adorned with trees can be very attractive. They can add light, shade and dimension to your land, and even increase the value of your property. However, if your trees are not properly cared for, your garden can look a mess, and more importantly you may have more serious issues to contend with later down the line. It’s a common misconception that trees are low-maintenance. In fact, trees need to be pruned and maintained throughout their whole lives. It’s important to recognize when to hire an arborist, as sometimes only a specialist can help with the maintenance of your trees. Certified arborists are trained in the art and science of tree-maintenance: pruning, planting and generally caring for trees. In some cases, trees can become diseased, damaged by the weather or infested by pests, and an arborist will be able to determine the best course for its removal. For instances where an arborist is not required, the best time to trim trees and shrubs is the late winter, as this will lower the possibility of disease spreading to the new growth in the spring. Whatever you do with your lawn (keep it immaculately pruned and neat, decorate it with outside lighting and garden furniture, or turn it into a mini football pitch for the kids) maintenance goes a little further than keeping it trim with a lawn mower. 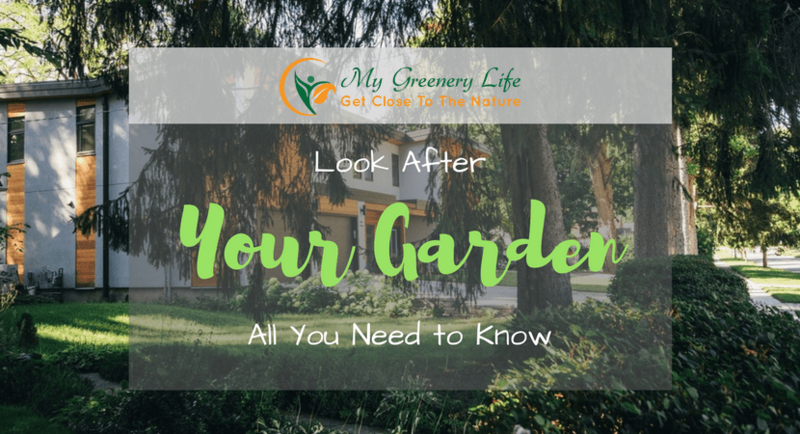 It is advised that you clean up in your garden every fall, which means checking for disease in your plants and flower beds, and a serious stint of de-weeding. Not only are weeds unattractive, they steal the nutrition and water from your glorious flowers. The best tip for controlling weeds is to tackle them when they’re small: spray them with weed killer or manually pull them out from the flower bed. With these tips, your garden will be flourishing in no time. Good luck!